Get your friends, family, and employees the gift of gas with Shell Gas Station gift cards! With over 14,000 Shell stations located in all 50 states, everyone can use it. The Shell Gift Card offers a pay-at-the-pump speed of a credit card, so you can easily gas up and go. Serving millions of American every day, you cannot go wrong. The Shell gift card does not stop at refilling your gas tank. Head inside one of the Shell gas stations to purchase automotive supplies, food, beverages, and more. Car getting a little dirty? These gift cards can also be used to buy a much-needed car wash. Shell offers a reloadable gift card program. With this, you can reload your recipients’ cards whenever needed. Their Gift Card Management Tool also allows for easy management of each account. Buy your Shell Gas Station gift cards from National Gift Card, the best place for you to order gift cards in bulk. National Gift Card is the leading expert in all things gift cards and we want to set up your gift card solutions program for you today. Please reach out to us for more details on direct-to-recipient or individual gift card fulfillment for your gift card program. Check out our contact page or call us at 888-472-8747 today! Your use of this Card constitutes acceptance of the following terms: This Card can be used only for purchases of goods and services at Shell locations in the U.S., except territories. This Card cannot be redeemed for cash and no change will be given, except in those states that require redemption for cash. Except in certain circumstances, the value on this Card will not be replaced if the Card is lost, stolen, or destroyed. Replacement fees may apply. 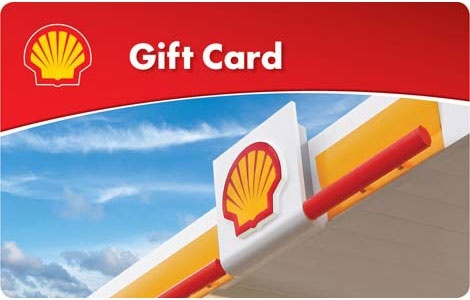 For questions regarding your Shell Gift Card, visit www.shell.us/giftcard, or call 1-800-300-8113.